White Fungi, Tricholoma stiparophyllum, Tricholomataceae. Tricholoma stiparophyllum, Tricholomataceae. 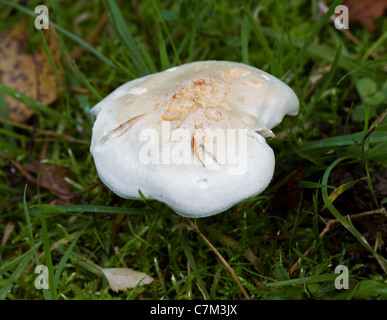 A Common White Mushroom.